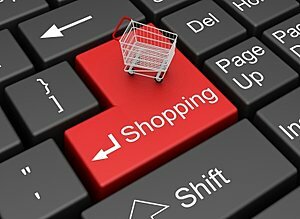 Are ecommerce websites meant to attract customers’ attention? No! They are actually meant to generate revenue by increasing sales. You can seek the attention of your target market with dozens of other online marketing methods available. However, when it comes to an e-commerce website it is all about converting those efforts and investments to revenue. Without a professionally developed ecommerce website it is nearly impossible to increase your sales and convert your website traffic. Whatever the case is, WEBIZ is the digital software development company that has an infinite amount of e-commerce solutions to businesses from all around the world. Web development is not something that novices can take in their hands. Developing an ecommerce website from scratch is quite a challenge. Furthermore, only a professional website development company would know the right platforms that can create fully functional and highly compatible ecommerce websites. An ecommerce website holds a lot of content i.e. videos, images and text. This content is updated more frequently than it is updated on other websites. A fluid shopping cart is required to help customers close the sales. Several other applications have to be integrated on the website to make it a helpful resource for potential customers e.g. price calculators, shipping rate calculators, product viewing tools etc. The scope of web development goes further ahead in the case of ecommerce websites. Ecommerce websites have a lot of pages but coding those pages clumsily could make the website extremely slow. A slow website means an SEO kill. You would soon see your website slipping down on search engine results if your website isn’t coded properly. Furthermore, just so you are able to add and remove content easily from your ecommerce website you need the right content management system. The payment processing methods also need to be integrated. In addition to that, most businesses are now looking to have their ecommerce websites linked to their CRMs and ERPs. For us all ecommerce websites are the same because we start from a blank white page. Lastly, our ecommerce websites are just as effective on tablets and smartphones as they are on desktop computers. If you are in the process of starting an ecommerce website, call us now.